I joined the game yesterday. First of all I noticed when I get out of the first map that thing doen't work that tellls me where I am only when i am in the first map second of all I had to quit the game because I feel into some funny colored water that didn't look like the water i had feel in and looked like i was stuck and couldn't move, I am not stuck but can't find away out of this weird water i realized that after logging just now. Also i am made by passed the starter area when i am still a newbie, and i don't feel like starting over. correction I do seem to be stuck but it's not water. I am sorry about this issue you have experienced. 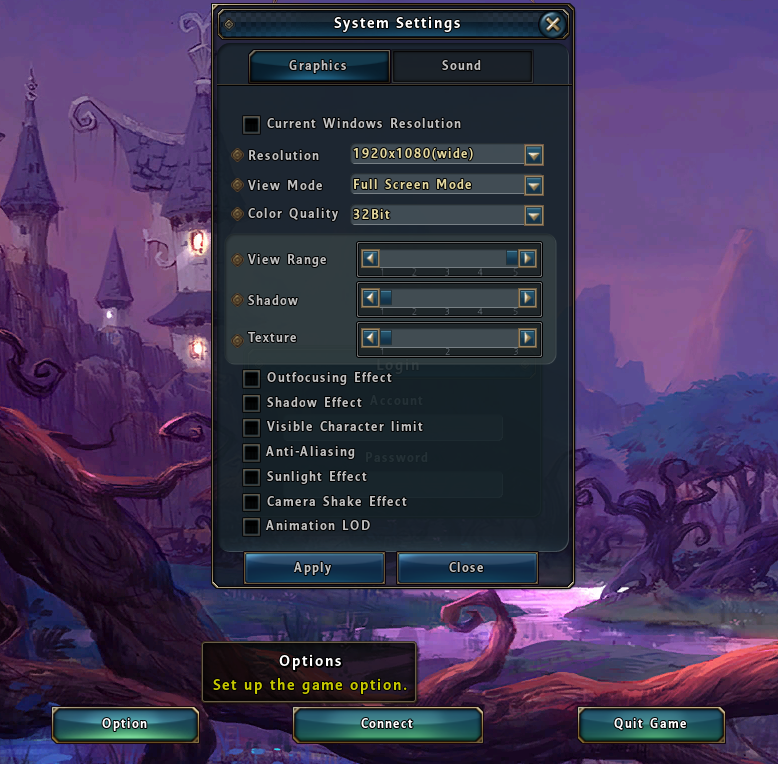 Have you tried lowering down the Graphic Settings of the Game? If you haven't resolved the issue yet, please visit the Support Page and file a Ticket to the Support Team in order to be assisted. Please make sure to include as many details as you can. If you don't feel confident writing in English, then feel free to use your own language if supported (Bahasa Indonesian, Chinese, Filipino, Italian, Japanese, Portuguese, Spanish, Thai). If you have any other questions, just let me know and I’ll be happy to help.